Now I can’t actually get you to Maui for free, but I can show you how to have a Maui vacation on a budget. If you’re a tourist and you want to do typical tourist things like jet ski and go on whale watch rides, this probably isn’t for you. But if you’re someone who came here to just relax and are looking for some stuff to do, for free or on a budget, I’m your girl! 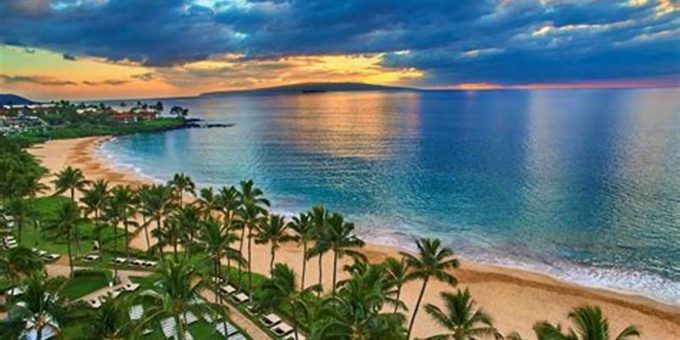 I’m going to help you plan out your entire Maui vacation, minus the flight of course, on little to no money. Although I’m from Maui, I like renting cars for when I go on random adventures so one day I decided to call up all of the Maui rental car agencies in search of a place I could regularly get a cheap rental car. Just a note: If you’re not 25 you’ll quickly learn that not being 25 will hurt your budget so look around for 21 and up Maui rental car agencies. I found that every rental car agency has a mandatory credit card down payment of anywhere from $200 to $500. They need to be able to access it immediately because they hold onto it while you’re holding onto their car. I started renting cars in my early twenties and being in my early twenties with no job, there was no way in hell I was going to be able to put that kind of money down. So I started looking for smaller, less commercialized Maui rental car agencies. Another thing that put a wall up between me and renting a car was the minimum rental time. Once I found rental car agencies that would rent me a car without having to put down a ridiculous down payment I thought I was free and clear. Nope! Now they want to get me to rent their car for a minimum of 1 week. This was not happening as I did not need a car for that long. Really, what am I going to do with a rental car for a week? Let it sit in my driveway most of the time. So I continued my search. When all I could find was Maui rental car agencies that needed down payments and a weekly rental, I was ready to give up on my search. That is until I visited my friend and saw a magnet hanging on her refrigerator. It was a magnet advertising Kihei Rent A Car. I’ve been renting with them for over years now and have been nothing but satisfied with them. Their cars are not top of the line but they are pretty nice and will get you from point A to point B. You can rent cars from them for only a day and their rates start at just $20! Also, you only need to be 21 to rent from them. Google “kihei rent a car” to check out their website and reserve a car online. There is somewhere called the Maui Beach Hotel. It’s not a 5 star hotel but it does the job. It’s a place to sleep while you get ready for the next Maui adventure. Maui Beach Hotel is located in the heart of downtown Maui and is right across the street from Maui’s biggest and busiest shopping mall. It’s also conveniently only 5 minutes away from the airport. You can get a room there from only $50 a night! It’s worth checking out. Google “maui beach hotel” to check out their website and reserve a room online. Note: Whatever you do, DO NOT stay at The Banana Bungalow or anywhere in that vicinity. That town, mainly that hostel, has a high crime rate. There are also people there who are not too fond of tourists. If you’re a tourist chances are you’re staying in either Kihei or Lahaina. If you’ve read this Hub and followed my directions, you’re probably in Downtown Maui. Either way, I’m going to tell you some Maui Activities that you can do on a budget. If you’re into partying, you belong in a bar or club. We don’t have clubs here so a bar like Tiki’s will suffice. Tiki Lounge is located in Kihei and drinks run from about $5. Yes, this is pretty cheap for Maui bars. If you can drink your father under the table and $5 is just not going to cut it, go to a grocery store to purchase alcohol and drink somewhere like the Kahului Harbour. This maybe ghetto but it’s what all the cool people are doing. Cheap alcohol can be found in places like Foodland, Safeway and Wal-Mart. Wal-Mart is by far the cheapest but they don’t have the widest variety of alcohol so stick to Safeway or Foodland(if you can’t find your drink of choice at Wal-Mart). They are all located within a few minutes of each other so not a big waste of gas there. If drinking isn’t your thing and you want to go on an adventure, go take a [long] drive to Hana. With Hana you will cover your hiking, sightseeing and swimming all at once. Hana is located on the East side of Maui and is nearly a 2 hour drive from town. It doesn’t feel like too long of a drive though because of all the scenery around you. There are lots of places on the way where you can pull over to take pictures or look around. If you wanted to experience the Hawaii you see on the internet and television, this is a good way to do so.